J.Lo‘s new single ‘Dinero’ featuring Cardi B and DJ Khaled got the live treatment at the BBMAs a few nights ago. It’s very Latin pop meets urban. 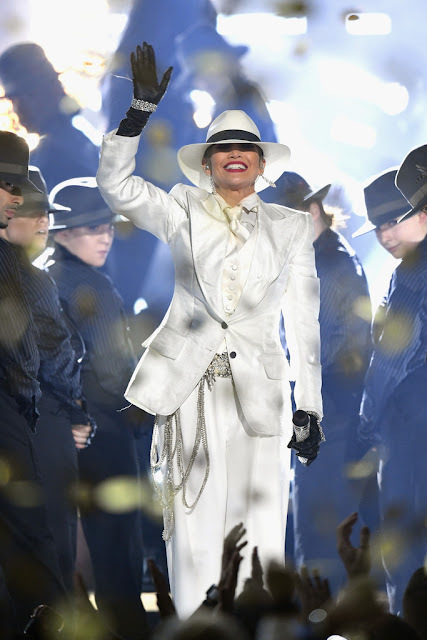 Jen’s performance had swag, but it was typical, cookie cutter J.Lo at best. Jen had Cardi B on the song so she can ride the rapper’s current popularity train. ‘Dinero’ is a fun enough summer bop, but very forgettable. J.Lo hasn’t released a great album since the early 2000s. At almost 50, she’s pretty much a singles artist now. The problem is… the singles have not been that great either. Steelers Coach Mike Tomlin Is 1 Of Only 3 Black NFL Head Coaches & He’s HOT About It!